You look for the necessary and useful information about Manchester and its sights? Our article is that it is necessary for you. Here a large number of data on Manchester is collected. 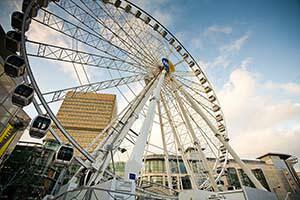 It is possible to call a wheel the best sight not only because it gives the chance to enjoy panoramic views of Manchester, but also because the Wheel is very popular and visited place of the city. You will be able to see the majority of the known sights at the height of 60 meters over only 7.5 pounds. You will be able to take a VIP-cabin with tinted glasses and champagne for an additional fee. In only 15 minutes to turn the wheel so far, you will be able to see all Manchester. I strongly recommend you to visit this beautiful place in sunny and cloudless day. Impressions will be much brighter. It would be desirable to tell that this sight very much to be pleasant to you even if you also are not interested in soccer. 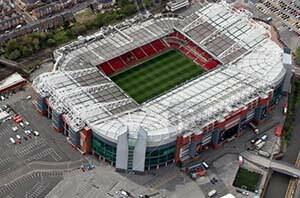 Magnificent stadium “Old Trafford” – one of the most known and visited sports arenas of England. At stadium regular tours which will tell you its story and traditions are conducted, and also will lead you to the museum where they briefly will describe outstanding football players and awards of legendary team “Manchester United”. At the end of excursion there will be the most interesting – you will pass on all courses and tunnels on which there are in the field football players. The Old Trafford arena so beautiful and impressive that it is often called “Theatre of Dream”! Only when you visit a home game of team “Manchester United”, will be able to feel that spirit, passion and that unforgettable atmosphere. This sight can brag of a fascinating and various collection of exhibits, interesting exhibitions and the presentations which will be interesting to visitors of all age. In 15 various galleries the huge number of unique exhibits is located: from small ancient inventions to the reconstructed Victorian Sewer system with all its elements, sounds and even smells! The sight possesses own 4D movie theater, the hall of “Air and Space”, and also shop, cafe, restaurant and even the place for the real picnic. Devote at least in the afternoon to this “entertainment center” of Manchester and you will never regret about it. 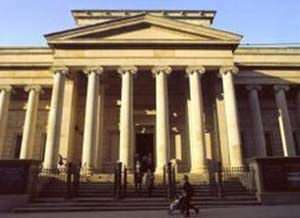 The art gallery possesses the best collections of works of Turner, Gainsborough and Stubbs in Great Britain. Here a huge variety of painting, a sculpture, ceramics, and also a unique collection of works of such famous authors as Hunt, Rossetti and Arthur Hughes is presented. The sight has own cafe where visitors can relax and enjoy light meals, beholding on works of art. Also there is a shop of souvenirs where it is possible to buy an inexpensive thing which will remind you of stay in Art gallery of Manchester. Louri is the fine construction located on Selford’s mooring in several minutes of driving from the downtown. The complex unites in itself eclectic mix of the performing and fine arts. Two theaters and several small studios are a part of sight. Here regularly there take place such actions as the drama, the opera, the ballet, dances, musicals, show for children, concerts of popular music and comedy performances. Also here the gallery of works of the most great artist of the 20th century L. S. Louri in honor of whom called this sight is located. You have an opportunity not only to visit all actions, but also to admire a fascinating view of the Channel of Manchester. This magnificent monument is one of the most beautiful and impressive church constructions of the city. During any time of year it is full of the tourists wishing to admire beauty and sights here. The monastery was built between 1863 and 1867. He endured difficult history where there was a place to oblivion and ruin. The last time the monastery full of unique masterpieces and elements of a decor was thrown in 1989. 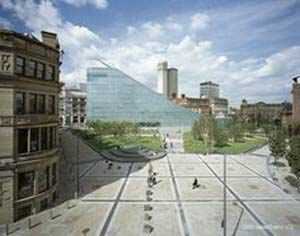 Only 18 years later in 2007 the sight of Manchester was completely restored for more than 6,5 million pounds. At the moment the architecture returned itself former glory of the center of religious life of the city. Here regularly there take place excursions, weddings and church services are held. 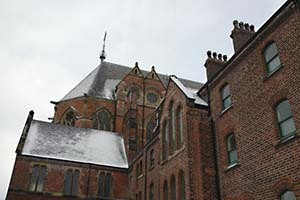 So also you enjoy a sculpture, painting and art of impressionism in the monastery of Manchester. The sight is located in the downtown. This huge center of entertainments is the largest in own way in all Europe! The huge choice of fashionable cafes, wine bars and restaurants is provided to you. Also you are offered to visit the magnificent fitness center and modern IMAX 3D movie theater. The entertainment complex will be interesting not only to adults, but also children! 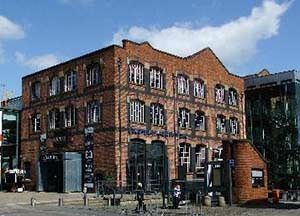 It is interesting to know that “Printworks” is one of the most visited tourist places of Manchester. Cruise on the magnificent yacht overlooking the best sights of the city is for the sake of what it is worth going to rest to Manchester. Not important, you were tired of pedestrian excursions or just wanted to diversify somehow the round, – go to cruise. It will allow you not only to have a rest well, but also to feel unusual impressions of already familiar sights. All those architectural masterpieces at which you managed to look in Manchester will appear before you absolutely in other foreshortenings and types. For all comers, Sunday cruises work with a lunch and beautiful live music. 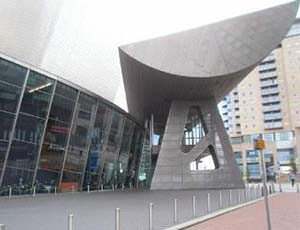 Urbis is the former exhibition center in the heart of Manchester. The building of the center is one of the first glass constructions in the city. Constructed it in 2002. Here the set of fascinating abstract exhibits was collected, thematic exhibitions and displays of modern culture were held, however it did not cause a reciprocal response from tourists. Therefore from 2010 to 2012 there was a rebranding of the exhibition center in the National museum of soccer. And it gave effect. The sight is visited by tourists from around the world and their quantity every month only increases. Probably soccer of Britain interests people more than culture. 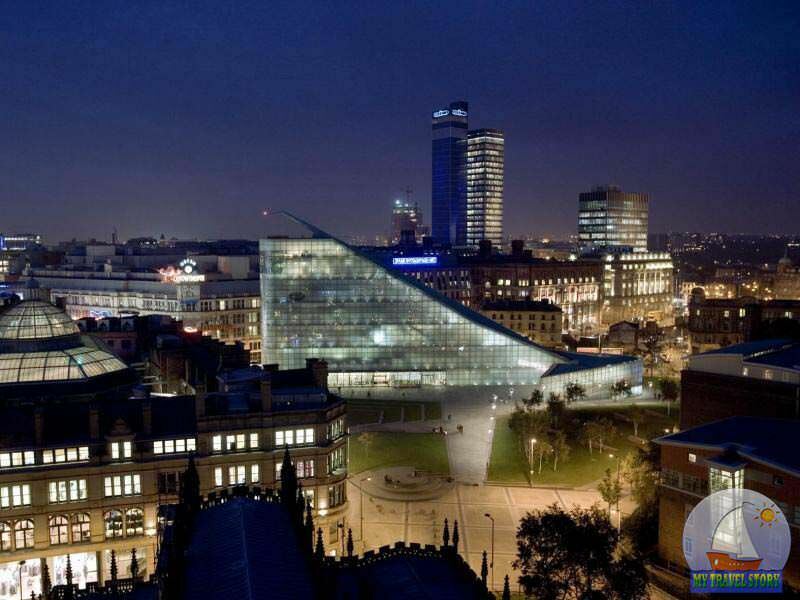 Our today's article will tell you about sights, interesting tourist places, ancient architecture, and also historical monuments of Manchester.